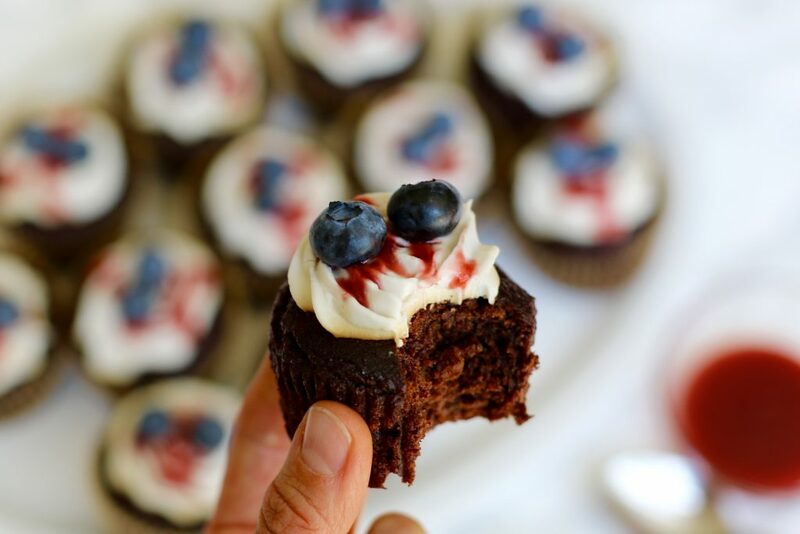 The 4th of July festivities would not be complete without a bit of chocolate to sweeten the palate? The moist taste of this gluten-free, vegan cupcake combined with the smooth texture of the coconut cream makes each bite heavenly. The strawberry sauce and fresh blueberries are an added bonus to top this flavourful delight. 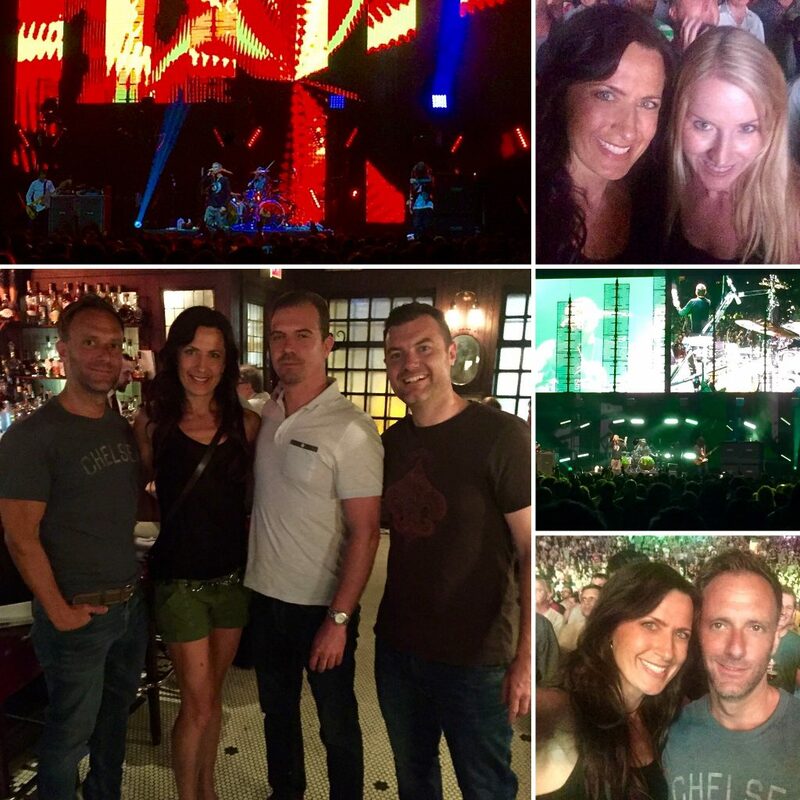 The celebration started early for me this year and to kick off the long weekend I saw The Stone Roses in concert. Yes, with another group of old friends that I have known for years. The people you meet during your childhood truly are the perfect kind of friends to have in your life. They know you the best, love you the longest, and you can trust them the most. The type of friends that when you see them across the room they put a big smile on your face. Independence Day is not the only celebration for us this weekend. We also have a birthday dinner to attend and a road trip to visit my husband’s family. I do not have too much time to experiment, so I decided to take my chocolate cake recipe and make some gluten-free/vegan cupcakes. I love this recipe because the cupcakes come out moist and delicious. I continued with the red, white, and blue patriotic theme for July 4th. Since dairy is a no-no for my older son, I decided to make a coconut cream frosting. 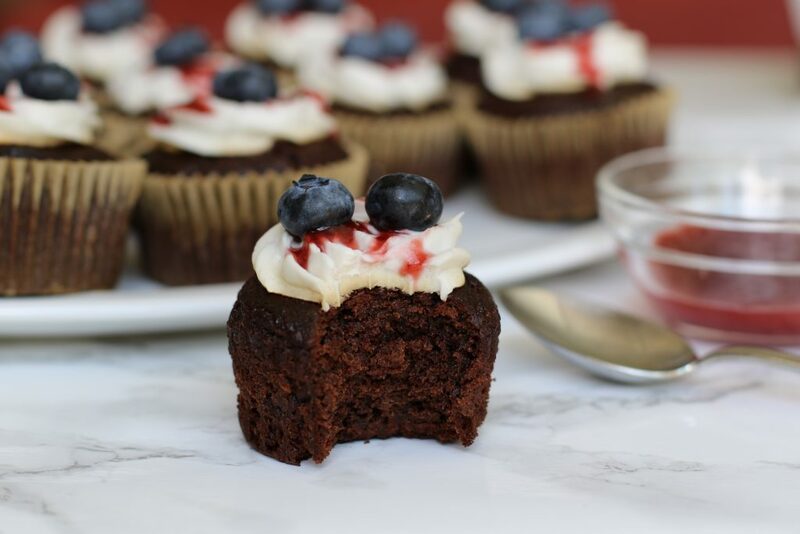 Light, creamy, and delicious, this topping works well with the rich chocolate flavour of the cupcakes. 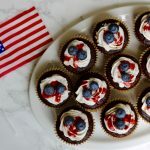 Topping this festive dessert with a simple strawberry sauce and some vibrant blueberries really added that extra sweet and juicy touch to this patriotic cupcake. Using artificial coloring is not an option in my home. I even found unbleached, chlorine and dye free baking cups! My boys loved it and I will definitely be making this healthy dessert again! 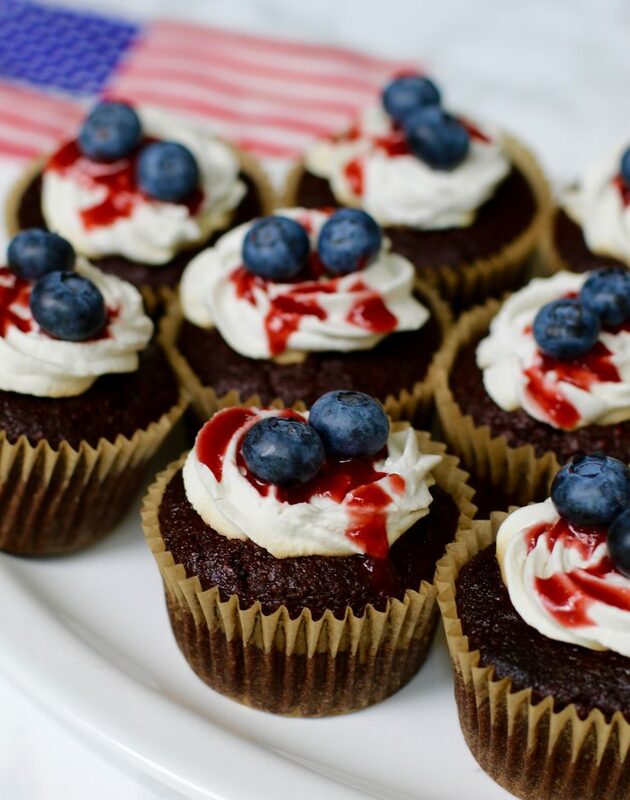 I hope you have an amazing holiday weekend and you get a chance to make my patriotic cupcakes! 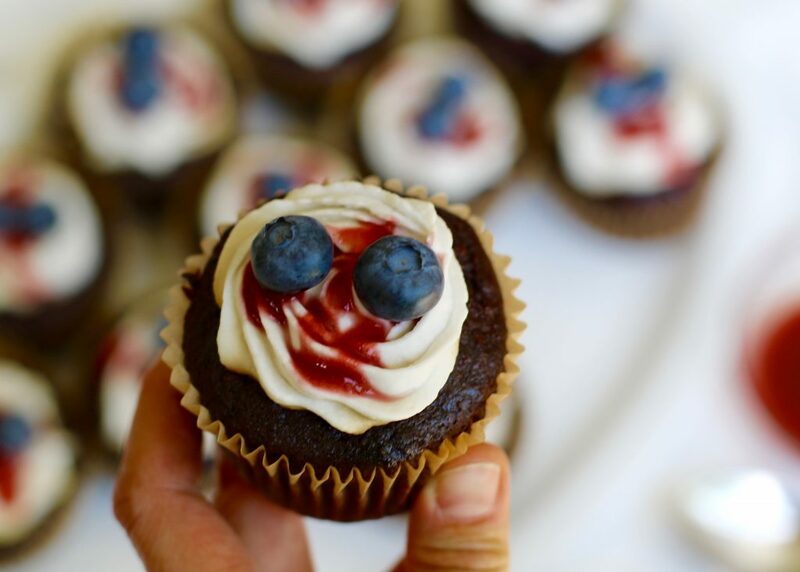 Moist, flavourful and festive this gluten-free and vegan cupcake is sure to wow your guest this 4th of July. The rich taste of chocolate works well with the smooth texture of the coconut cream frosting. 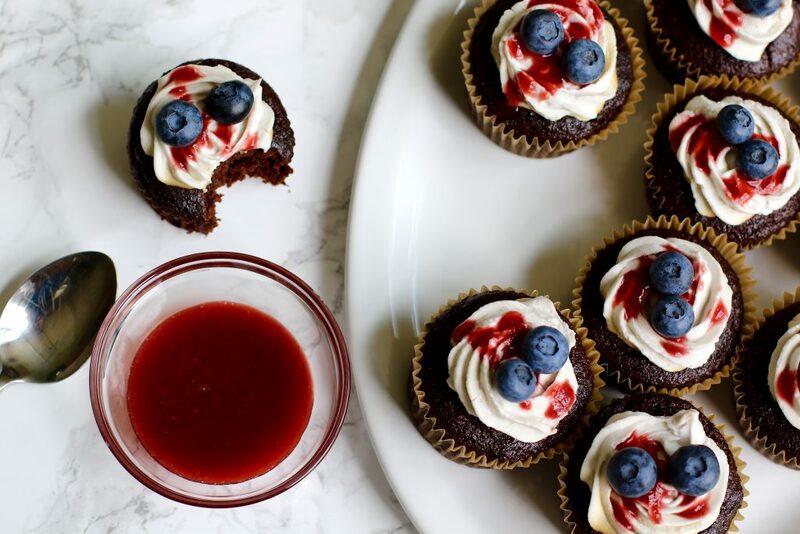 The strawberry sauce and fresh blueberries are an excellent combination with this decadent delight. Combine almond milk and apple cider vinegar in a bowl. Then add the baking soda and set aside. To make the flax meal egg add flax meal and water together in a large bowl until it becomes a yolk-like consistency. Let sit for a few minutes. Add the coconut oil, sea salt, apple butter, coconut palm sugar, maple syrup, and vanilla extract to the flax meal egg until combined. Then add the almond milk mixture and stir. Beat in the almond meal, gluten-free all-purpose flour mix, gluten-free oats, cacao powder, baking powder and combine until it is a smooth consistency. Separate the batter between the cupcake tins filling them more than half way. Bake for about 25 - 30 minutes or until a toothpick inserted into the center comes out clear. Allow the cupcake to cool before removing them from the pan. Take the refrigerated can of coconut milk and turn it upside down. Open and pour the liquid into a separate bowl to use for a smoothy for later. Place the coconut cream, maple syrup and vanilla into a chilled bowl and mix until it is smooth. Refrigerate until slightly firm and ready to be piped. Combine strawberries and maple syrup in a small pan and bring to a low boil. Lower the flame and allow the mixture to cook for about 5 - 7 minutes. Mash the strawberries with the back of a fork until they are a smooth consistency. Use a fine sieve and continue mashing the strawberries into a separate bowl until the juice is strained. Allow the sauce to cool. When the cupcake is cool layer it with coconut cream frosting. 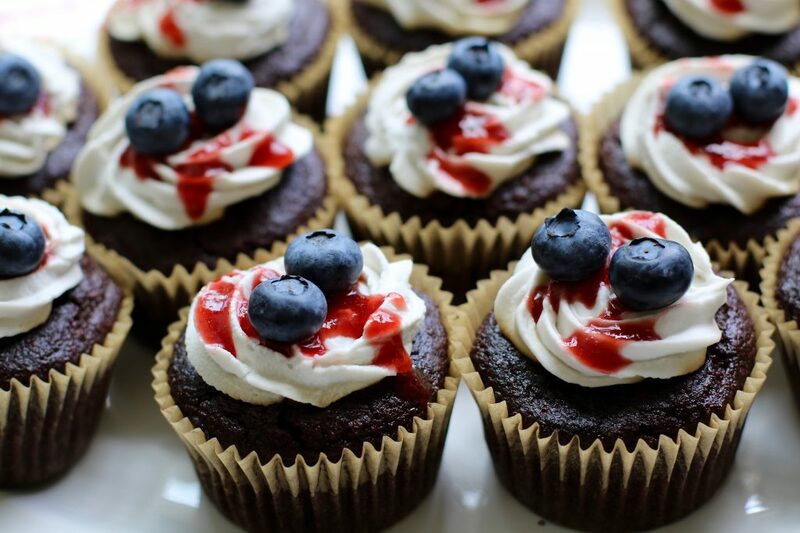 Drizzle the strawberries sauce over the frosting and then add the blueberries. Did you ever listen to The Stone Roses? Do you still speak to your childhood friends? Previous Post Baked Maple and Sage Chicken with Potato Wedges – There is No Place Like Home! These look great. A perfect dessert for the 4th of July! Thanks! They look delicious, can’t wait try the recipe tomorrow!!!! Happy 4th! Thank you!! I hope you like it. Have a great holiday weekend. I will try them tonight! My nephew is gluten free. Loving all these recipes! Thank you. Wow! My mouth is watering! Thank you!! Happy 4th of July! The cupcakes look so delicious! I love to cook more than bake, but I should bake more with my girls! I know they would love to. I don’t really talk to my childhood friends as much as I should be, but I do keep in touch with old friends from Japan! Most of my friends are all over the place- Singapore, mainland USA, Japan, Taiwan, etc. Thank you so much! I actually make most of my families meals and treats since my older son has a restrictive diet. No gluten, soy, dairy, peanuts, eggs and dyes! It’s fun finding healthy alternatives that actually taste good. It looks like you traveled a lot so it may be hard to connect with old friends. 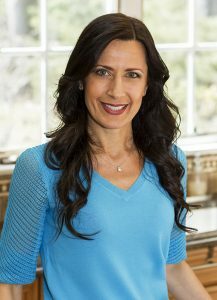 I love to travel but have only lived on the East Coast and West Coast. That sounds so delicious! I would love the recipe.